On any android device open your browser in the URL enter https://apktime.com/ as seen in photo. Scroll down at the bottom of the page and click on APK Time as seen in photo. Next click on the version of APK Time you want to install as seen in photo. Next that will bring you to the download page click to download APK Time as seen in photo. Once APK Time finishes downloading open your file manager or app installer click on the APKTime file as seen in photo. Next APK Time will start to install as seen in photo. APK Time will finish installing click on done as seen in photo. Now APK Time has been installed and you will find it under apps as seen in photo. Open APK Time that will bring you to the main menu as seen in photo. Next scroll down and click on Live as seen in photo. Next find MegaIPTV as seen in photo. 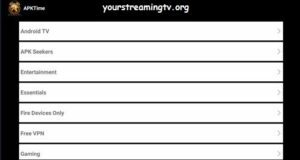 Next MegaIPTV will start downloading as seen in photo. 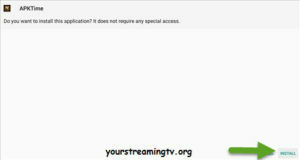 Once MegaIPTV finishes downloading click on install as seen in photo. Next MegaIPTV will start to install as seen in photo. 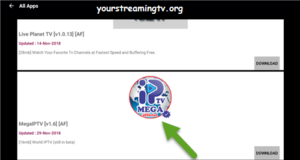 Next MegaIPTV will finish installing click on done a seen in photo. Now MegaIPTV has been installed and you will find it under apps as seen in photo.